This post is sponsored by Georgia-Pacific®; however, all thoughts and opinions are my own. Georgia-Pacific produces cellulose fiber for products we use every day, contributes to the community and is working to restore and revitalize a river. Georgia-Pacific recently asked several bloggers in the northern Florida area to tour their Foley Cellulose plant in Perry to see their company’s latest innovations and to take a closer look at what they produce. Constructed in 1954 by Procter & Gamble, the Foley Cellulose mill was eventually acquired by Georgia-Pacific from Buckeye Technologies in 2013. 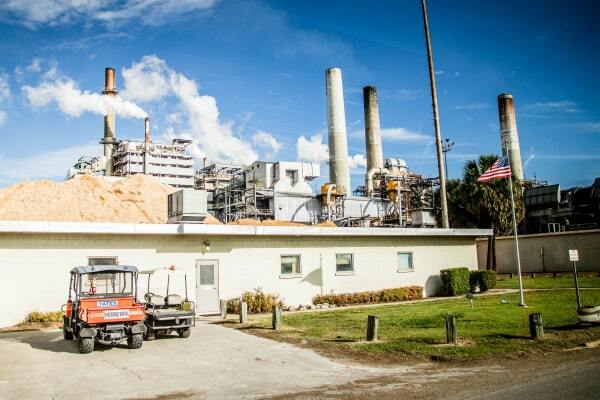 Situated on 900 acres, the Foley plant employs over 500 people, has more than $230 million in payroll, materials, supplies, and services impacting Florida’s economy and the local area. 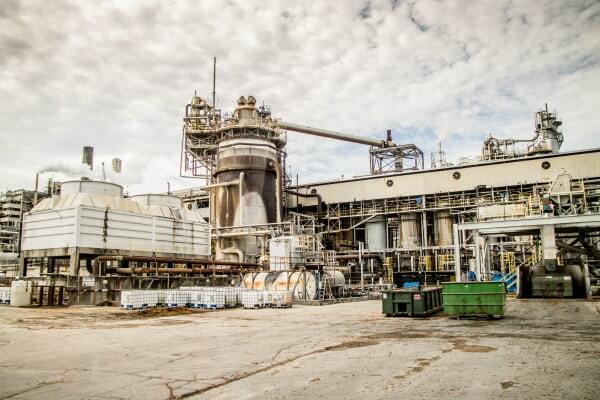 The plant produces cellulose, customized fibers and fluff pulp which is delivered worldwide for products such as clothing, tires, shampoo, diapers, baby wipes, food casing, paint, and towels. Even ice cream! Cellulose is the main substance which makes up the cell walls and fibers of plants and is completely safe for human consumption. 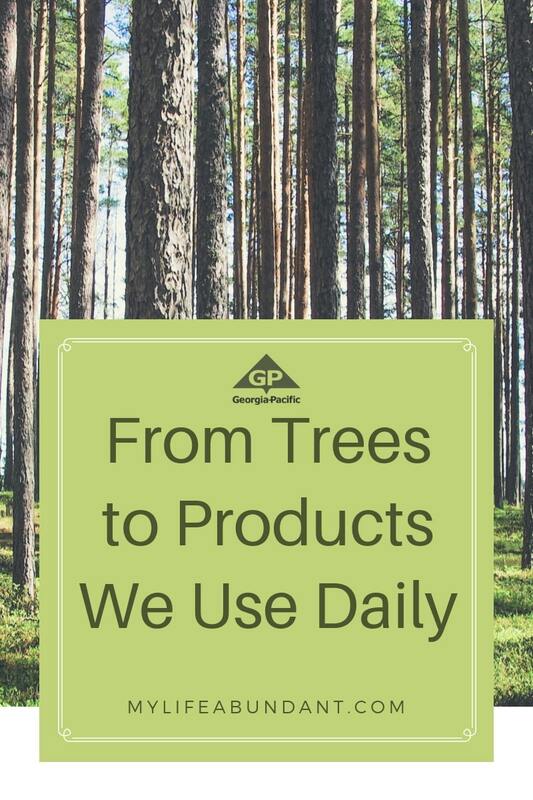 Aside from cellulose and specialty fibers, Georgia-Pacific produces many other household products. Its consumer products like bath tissue and paper towels are found in 65% of U.S. homes. Georgia-Pacific also makes building products for construction and packaging such as boxes. Have you ever thought about how those products are made? I was about to find out on our tour. With safety being utmost with Georgia-Pacific, we were provided with safety vests, eye protection, and hard hats before we started our tour of the plant. To produce fluff pulp, it all starts with slash pine trees which are responsibly harvested at local tree farms within a 150-mile radius of the mill. If you have ever traveled in the southern part of the U.S., you will see many of those types of farms. It typically takes 20 years for the trees to mature. After harvesting the trees, they are brought to the mill to start the process of converting trees into chips which are then converted into pulp. 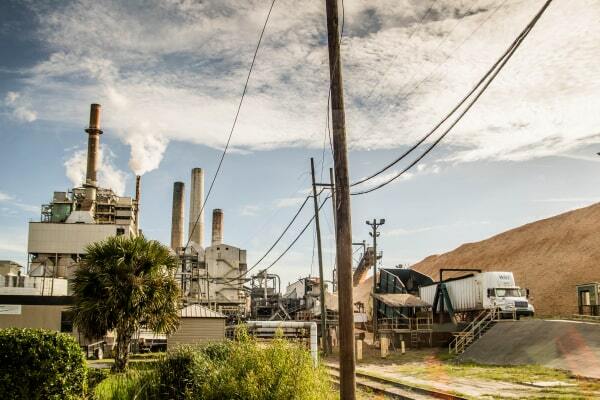 The Foley plant is also energy-wise! 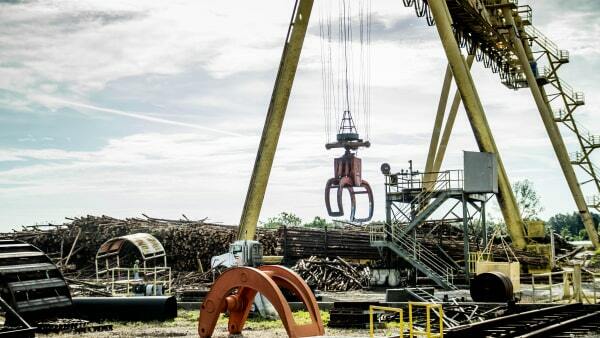 Every part of the tree is used, and the plant produces 85% of its power through renewable biomass (bark) and other material used in the manufacturing process. The plant has also made several improvements to lessen the ground water it uses – reducing usage by 11% over the last 10+ years. 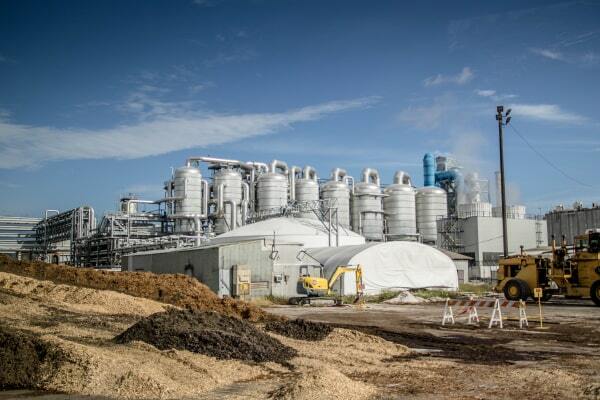 The new black liquor evaporators in the picture above help the plant use steam more efficiently and reduce emissions. 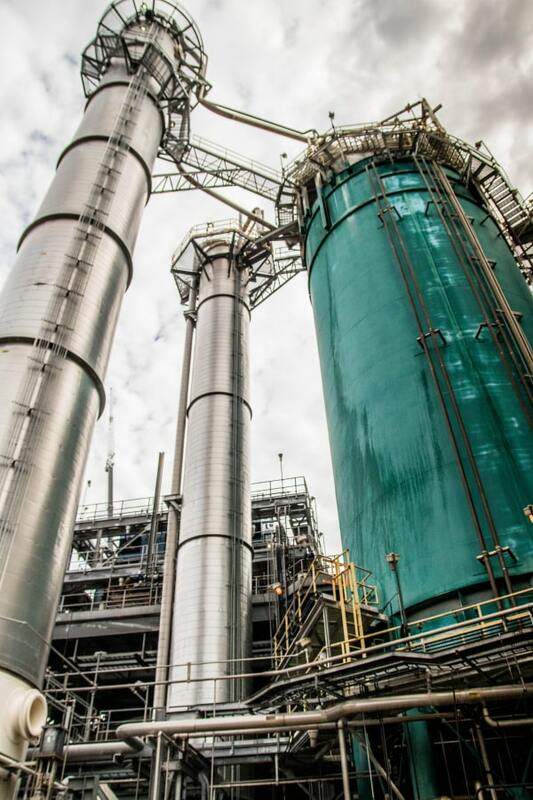 This system evaporates to water vapor from byproducts of the pulping process. 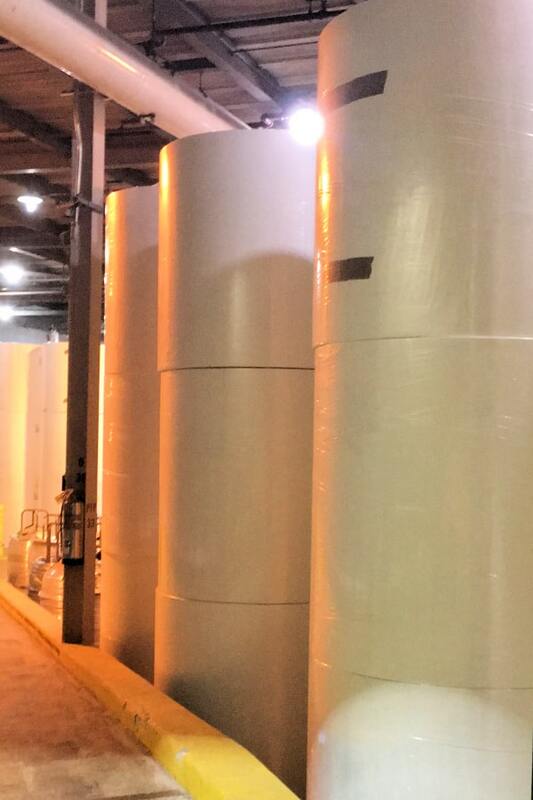 Once the process is finished, the rolls are sent all over the world to be produced into some of our favorite products. 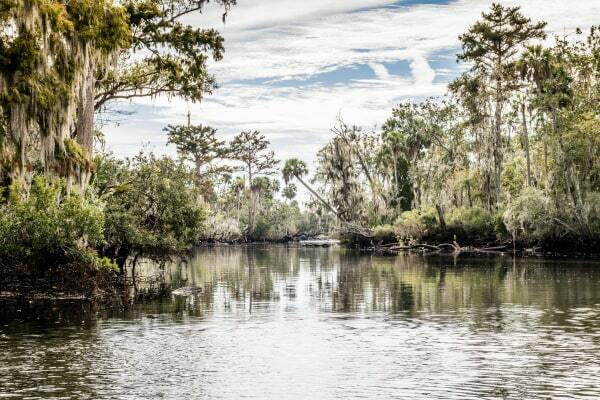 The next part of the tour, the part I was really interested in, was a boat ride on the Fenholloway River where we learned about how Georgia-Pacific is helping to restore this once “industrial stream” to recreational water quality by Florida’s standards for being swimmable and fishable. Over the past several decades, improvements have been made by previous owners of the plant to restore the river. In 2013, Georgia- Pacific purchased the mill from Buckeye Technologies and made it a priority to continue the Fenholloway’s restoration. 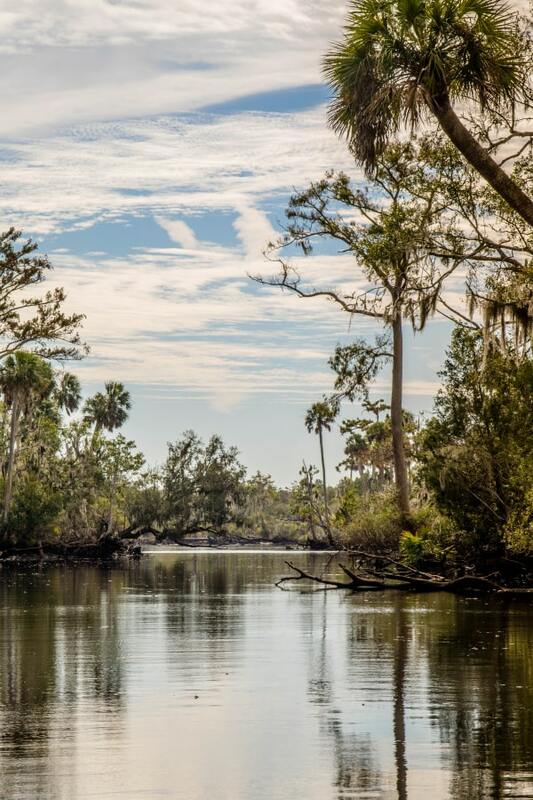 I was pleased to see several fowl and a few alligators in the area enjoying this small 36-mile blackwater stream. Such a beautiful area and does show me it is sustainable for local fowl and fish. Georgia-Pacific has been contributing to the area not only in good jobs, taxes and Florida’s economy, but they also take care of the area community in the city of Perry and Taylor County. They support the local schools, Tallahassee Museum, Boys and Girls Club, Habitat for Humanity, the Salvation Army and help with disaster relief, not only with money but with basic needs supplies. The mill and its employees annually contribute $100,000 to the United Way. Georgia-Pacific also has a Bucket Brigade program to help support local firefighters in its mill communities and has contributed over $2,000,000 to local fire stations since 2006. I was very impressed and pleased by what I saw on the tour. Safety first, environmental sustainability of the Fenholloway River, energy-wise and addressing quality of life for the area community is Georgia-Pacific’s priority as a good neighbor for future generations to come. I’ve always loved Georgia Pacific products and would enjoy taking that tour. I didn’t realize how much they give back to the community. I love supporting companies that give back. I really enjoyed reading this post. Thanks so much for sharing the behind the scenes. The Fenholloway River does look like a sad sight from the photos. I am glad to hear Georgia Pacific is restoring the river for fishing and swimming. Wonder cause! Oh wow! I’ve never really thought about how paper actually gets to my house before. This was really interesting. Well that’s very interesting. I work with a few green brands and green technology products here and am always interested to see companies doing work that they have traditionally done and applying an eco friendly lens to production. Well done Georgia Pacific. I feel like this tour is a smart public relations and communications strategy. Wish more brands embraced that and understood that they need to do better and also show that they are doing better. I am glad they are environmentally conscious. We try to lessen our impact on the environment in our everyday lives. So cool! I love companies who want to help the environment. SO many of them just pollute and don’t care what the outcome is. This was a really interesting piece on an industry I didn’t really know anything about. It’s great to learn about the insides of a company and industry. I honestly had no idea of this process but I shared this with my son because I found it so interesting and thought he should learn about it too. Really interesting tour. Surprised to hear that the mill was started by P&G. Small corporate world. I’m really impressed that they are great supporters of the environment. I hope they keep up the good work. I’m glad Georgia Pacific is restoring the river for fishing and swimming. There is nothing sadder than a polluted river. I have never studied much about this. It is interesting to learn more about the way that items are made. 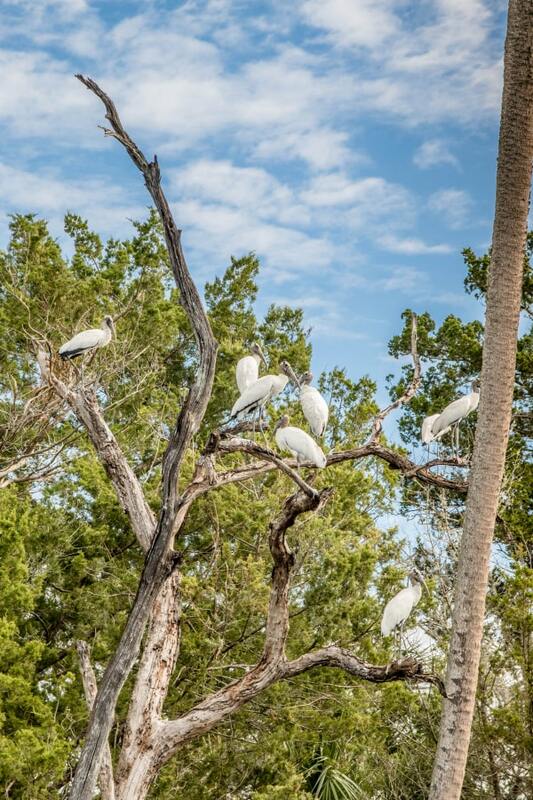 The sight of those fowls is beautiful. I don’t know about the alligators but glad to see rivers being restored. It is so good to know that there are companies like Georgia-Pacific that contribute to the local community and improve the nature that surrounds us. This is super cool that this company allowed bloggers to check out their newest innovations. I have to be honest and my mind is stuck on the fact that only 65% of the country use paper towels and tissues. Makes me wonder…what do they use? What an interesting process. It’s always good to know more about how products are made and how they impact the world around us. And nice to know that companies are helping to contribute as well. It’s always great seeing behind the scenes of a company like this. And I always find it fascinating to see how companies run. Great peek! I really enjoyed reading this post. Thanks so much for sharing all this great info! Great knowing that companies are helping to contribute! Wow, what a lot of information I was ignorant to know about. Amazing you are sharing! Thank you ??? ?